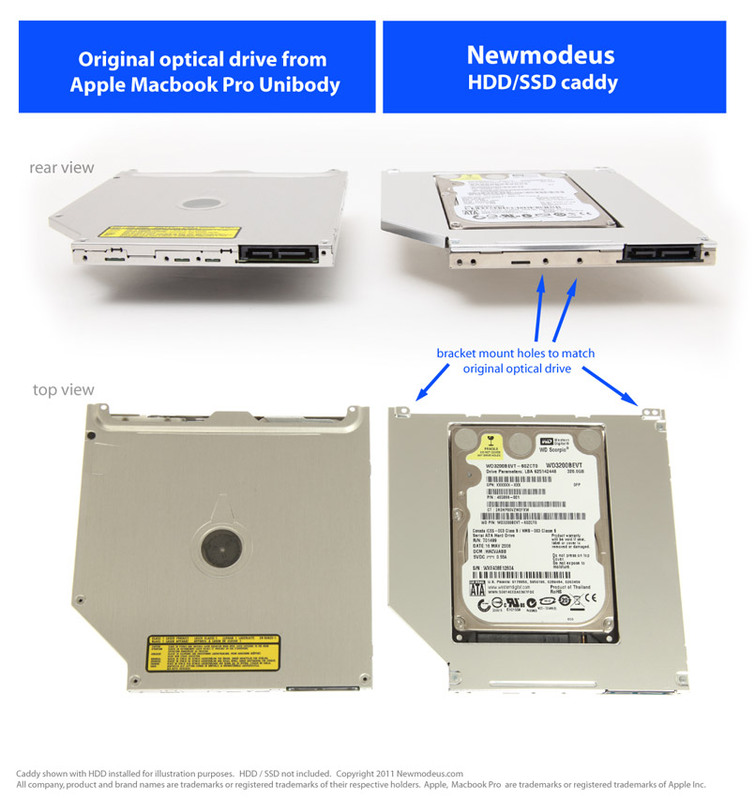 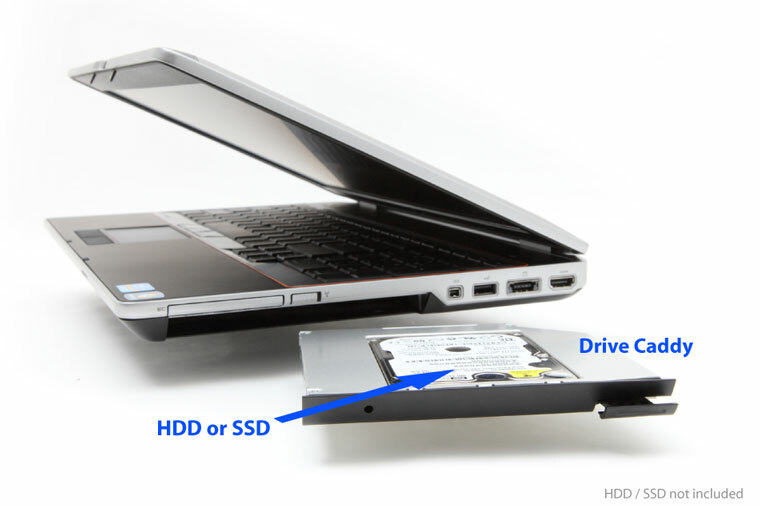 Replace your Macbook Pro's optical drive with a hard drive or SSD with this caddy. 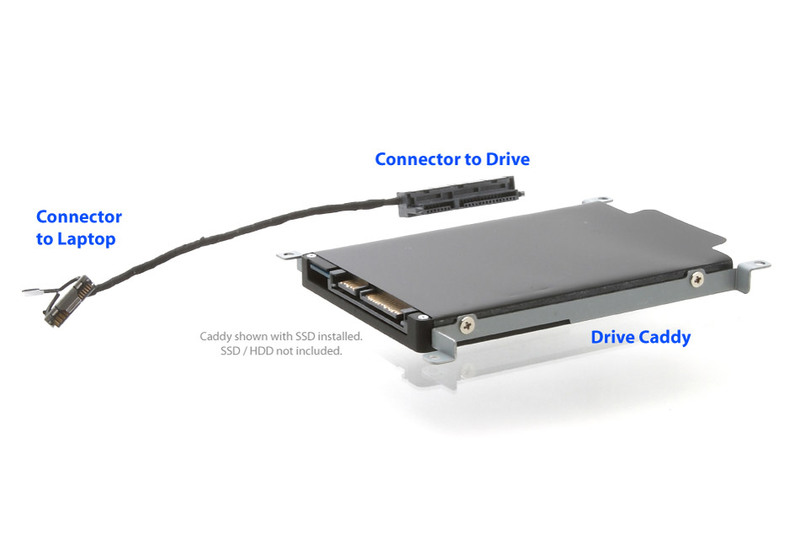 This caddy fits right into place in the Macbook Pro Unibody optical drive bay. 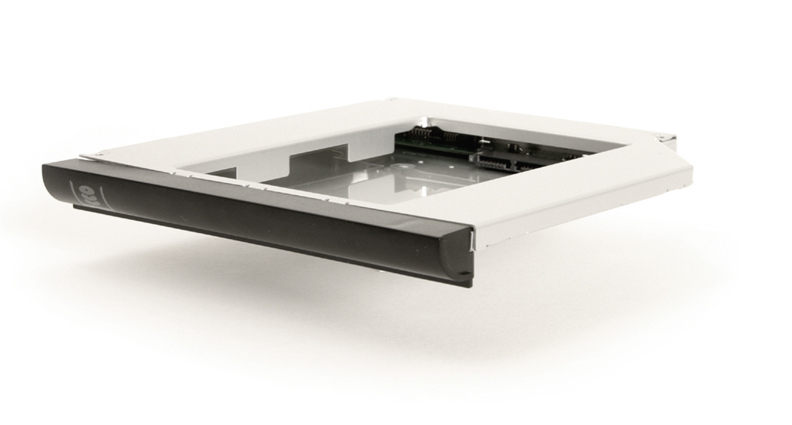 We have designed this caddy to have the same mounting holes and dimensions as your optical drive as shown in the photo above. 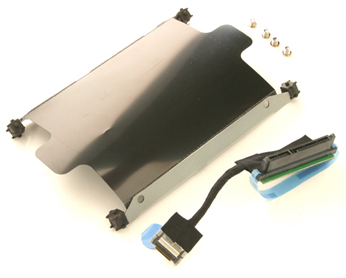 Compatible with Macbook Pro Unibody 13", 15" and 17"
Metal enclosure for heat dissipation and to reduce "noise"
We offer an external enclosure and USB cable kit to attach your your optical drive / Superdrive externally. 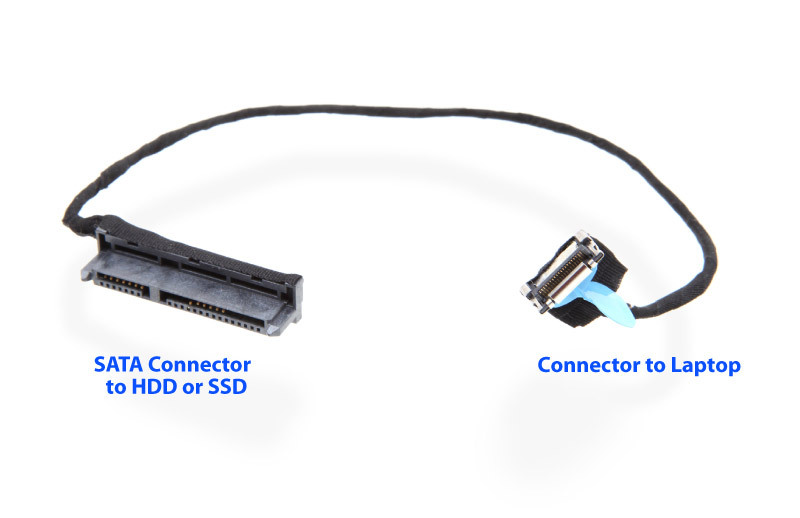 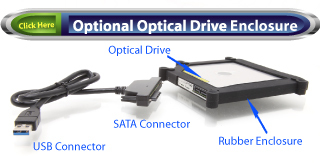 This is a clean, portable, lightweight solution to connecting your your optical drive via your USB port.